Fulton-Haley Metal Products, Inc. is a privately held company that has been providing the highest quality commercial and industrial metal fabrication and manufacturing services in Baldwin County, Alabama for over 25 years. The combined offices, shop, and warehouse are conveniently located on an industrial site in Bay Minette, Alabama, close to Intrastate Highway interchanges on both I-10 and I-65. Our location lends itself to quick and efficient freight deliveries and shipments to any part of the Southeast USA. The principal trade territory served is south Alabama, northwest Florida, south Mississippi and south Louisiana, however, we provide fabricated metal assemblies for both domestic and international deliveries. We are also near metro Mobile, Alabama, the Port of Mobile and Alabama State Docks, which are less than one hour from our shop. We can assist you in developing cost-effective solutions for multi-location construction projects. For example, Fulton-Haley Metal Products, Inc. has shipped specialized metal fabrication projects, such as co-generation plant construction packages, to locations all over the United States. Complex architectural elements manufactured in our south Alabama shop have been shipped to Europe and Asia for installation in large new construction projects. The company is most proud of it’s staff of dedicated employees who have made the company’s growth and current capabilities possible. 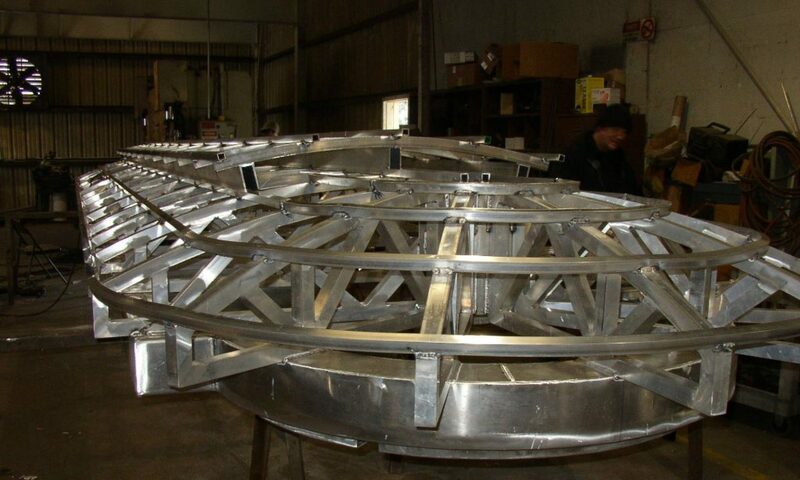 The core crew consists of approximately 20 highly seasoned and skilled specialists in all aspects of metal fabrication. The management team, including principal owner, James Haley, has developed the competencies and in-the-field experience to develop and manage multi-million dollar metal fab projects. We appreciate the opportunity of serving our long-time industrial clients as well as the new relationships we will develop in the future. We welcome you to contact our office, at 251-937-0442, to discuss your most challenging industrial metal fabrication needs.